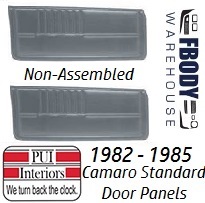 This is a pair of new replacement non assembled door panels for 1982 -1985 Camaro models. 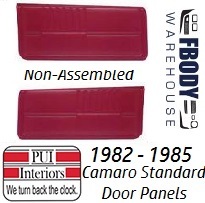 Units are for use on standard interior cars. Units are available in 6 factory correct colors. 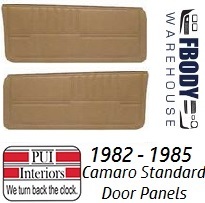 Use the drop down menu below to select the color you need and preview a picture of that specific door panel. 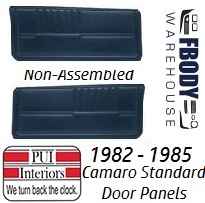 Does NOT include top plastic trim or inner window felt. 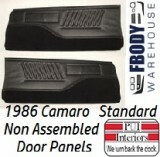 All models with standard vinyl interior package.